Zoran Zaev and Alexis Tsipras after signing the agreement on June 17, 2018. Following the successful votes in Skopje and Athens on the Prespa Agreement, S&D Group leader Udo Bullmann supports the initiative by the 2015 winner of the Nobel Peace Prize, Wided Bouchamaoui, to nominate the Prime Ministers Alexis Tsipras and Zoran Zaev for the 2019 Nobel Peace Prize. 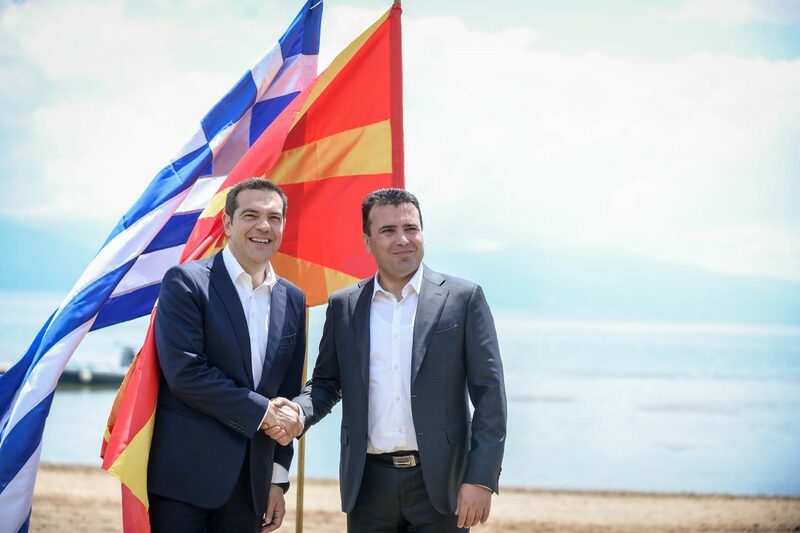 “With the historic Prespa Agreement, Zoran Zaev and Alexis Tsipras have succeeded in settling the fierce name dispute between Skopje and Athens that others had failed to solve for almost three decades. The prime ministers of both countries have overcome deep divisions with their compromise and shown great courage. They have not bowed to the pressure of those who are clinging to nationalist ideas but have acted in the best long-term interest of their two countries and of Europe. In times of populism, with many politicians aiming only at short-term gains in polls, this is proof of great political maturity and responsibility,” Bullmann said. “The historical agreement on the name dispute between Skopje and Athens is a huge success that will improve the future of both countries, strengthen Europe and contribute to peacekeeping on our continent. In my opinion, this outstanding achievement deserves the Nobel Peace Prize,” he added.